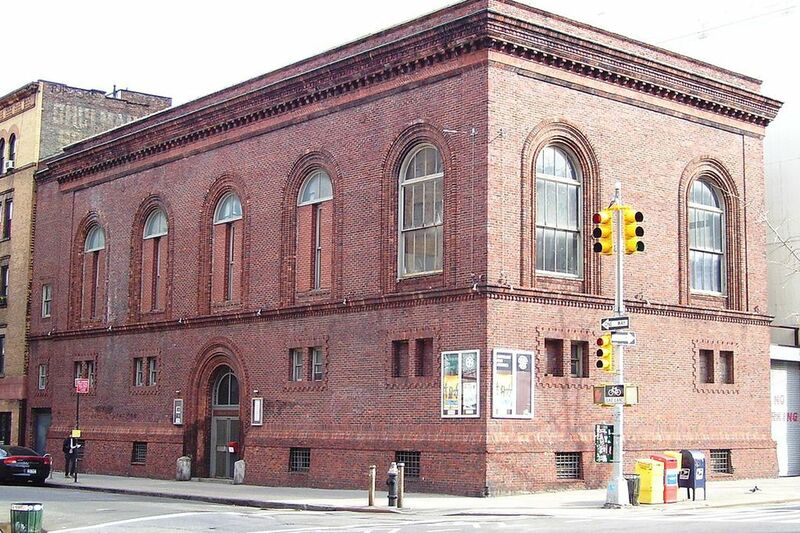 The neighborhood that lies east of Broadway, north of Houston & south of 14th St. has a storied history and a legacy that will last for the ages, making it one of New York’s most meaningful neighborhoods. Of course as the city has grown, so too has the East Village, but despite this growth it has still preserved an artistic spirit and peculiarity that embodies the East Village’s core. From the hidden speakeasies to the quaint and on-brand cafés, bars and restaurants - the vibe remains. In short, there’s a lot to explore in the neighborhood so we’ve made a quickfire guide to get you on your East Village way! The trains that run in and around the East Village include the F, L, J, M, Z, 4 & 6 so there’s no shortage of options when it comes to getting to this hub. All aboard! 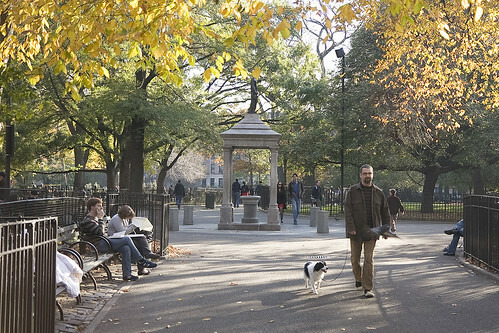 Tompkins Square Park - this beautiful 10.5 acres of open space houses fine greenery and public facilities, in a simple and appreciated fashion. The park caters to all ages, with playgrounds in place for kids, basketball courts & ping-pong tables for the athletic type and if working up a sweat isn’t your thing, then exercise your mind with a game of chess. Performances are common among the grassy areas--so feel free to sit back and enjoy the show! Film buff? Cinephile? The Anthology Film Archives is a must! First opened in 1970, focusing on American independent and avant-garde film, it truly captures the artistic vitality of the East Village. If you’re looking to delve into the realms of non streamable features, then keep an eye on the lineup, with screenings virtually everyday of the week. One of the oldest off-Broadway theaters in NYC, the Orpheum Theater has been around since 1904. Since opening, it has gone through a number of transitions to get to where it is today, with it’s first fully-fledged performance taking place in 1958. 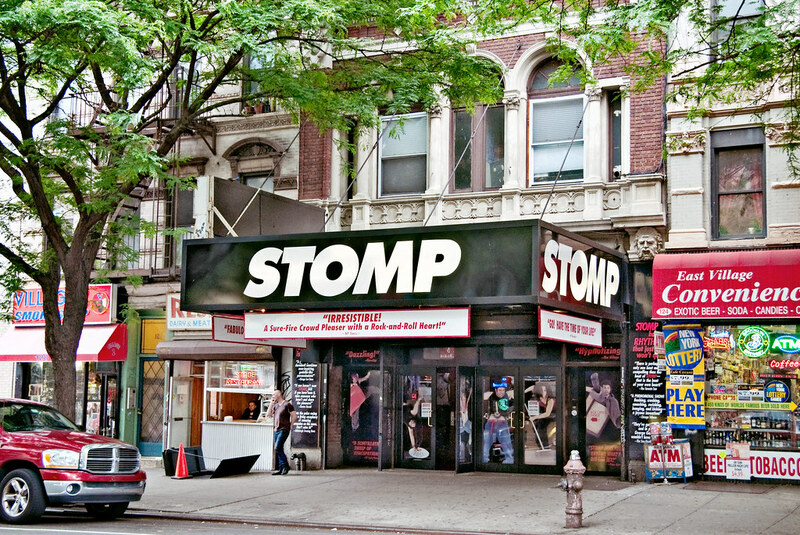 Countless shows have donned the stage here but one remains to this day since its first inception in 1994, the percussion group Stomp. Grab a ticket and be in awe of not only the show, but also the timeless decor. 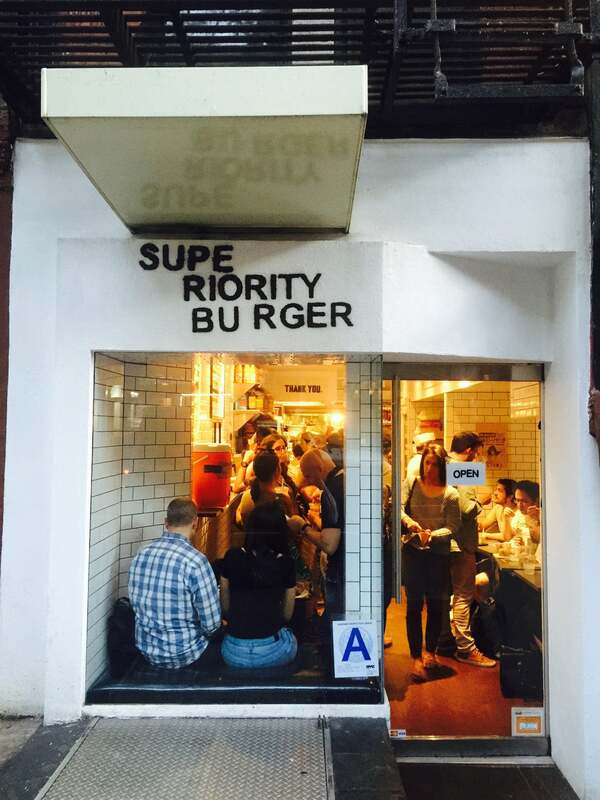 Superiority Burger - the one burger to rule them all (and it’s meatless)! No exaggeration, these veggie burgers are worth the hype - meat lovers may scoff at the thought of it but one bite deep and their lives will be changed forever. Be prepared for a wait though (long lines are instant verification right?). 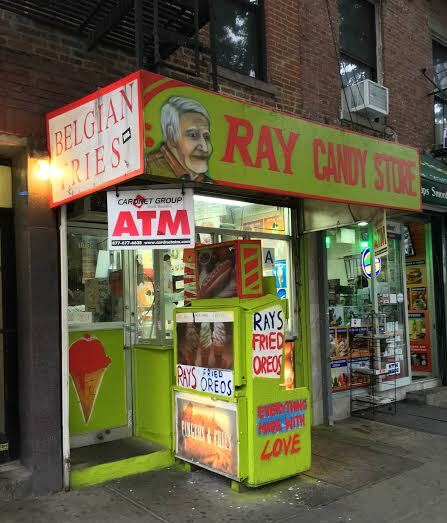 Next up we have Ray’s Candy Store. Ray’s is a ray of sunshine, serving up some of the city’s best fries, shakes, ice cream, frozen yogurt, and more! Having first opened its doors in 1974, it’s been an NYC institution ever since. Throughout the years, its 24/7 opening has catered for all in the East Village and beyond. So... if you ever get a craving for its goods you can satisfy it anytime. I personally recommend the fried oreos and beignets-- and I believe most others would too. Oh did we mention Ray’s was voted the best restaurant in the East Village in 2016 in the inaugural Time Out New York Love New York Awards? That’s gotta be worth something right? Getting maced seems horrible right? But this kind of Mace is exactly what you want! In a city full of cocktail bars, Mace stands out, bringing a flavored and travelled atmosphere to the East Village. The drinks menu is stacked full of surprising elements that you will keep you coming back again and again. Each drink is based on an individual spice so personal preference for spices plays just a big a role as taste in alcohol. Mace was listed among The World’s 50 Best Bars in 2017 so you know you’re onto a winner. 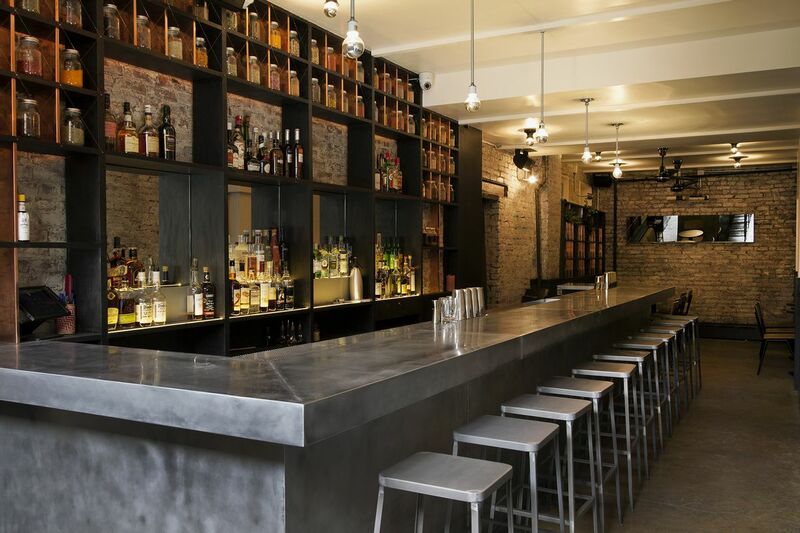 A classic of the East Village, The Wayland is one of those bars that everyone loves. The space is great and appeals to everyone, so whether you want to have a chill night or you’re looking to get turnt up, you can still hang under the same roof. The low-key scene is a great move for first-time dates, catching up with old friends to get a little rowdy or hitting up a scene for happy hour drinks. Tip: Get yo’ drank on with a round of Garden Variety Margaritas (they’re healthy and boozy). Tokio 7 is often considered to be the designer brand of second-hand stores. You can find troves of treasures in this one of a kind store but be warned, you’re going to have to work for it. Between the digging and the large crowds, you may find yourself a little overwhelmed so we suggest getting there early to maximize your chances of getting what you want with as little stress as possible. Otherwise, be prepared for a fight when you’re trying to cop those hot grails. Get your game on and hit Mr. Throwback to catch some coveted pieces of streetwear, which are having a moment right now. Yeah you can rock your Supreme, Obey or Vetements for high-end prices or you can venture down to Mr. Throwback and pick yourself up some one-of-a-kind streetwear that hasn’t been donned since MJ was still hooping. 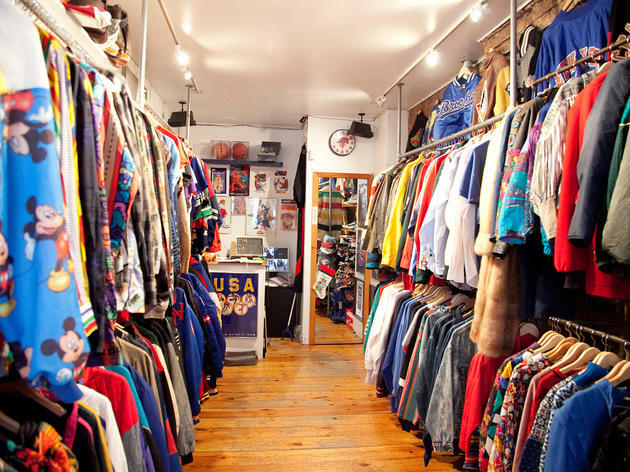 You’ll find legit old school gear such as hats, jackets, t-shirts, and more in that classic all-American sports style. Think of the cred that will come with it! 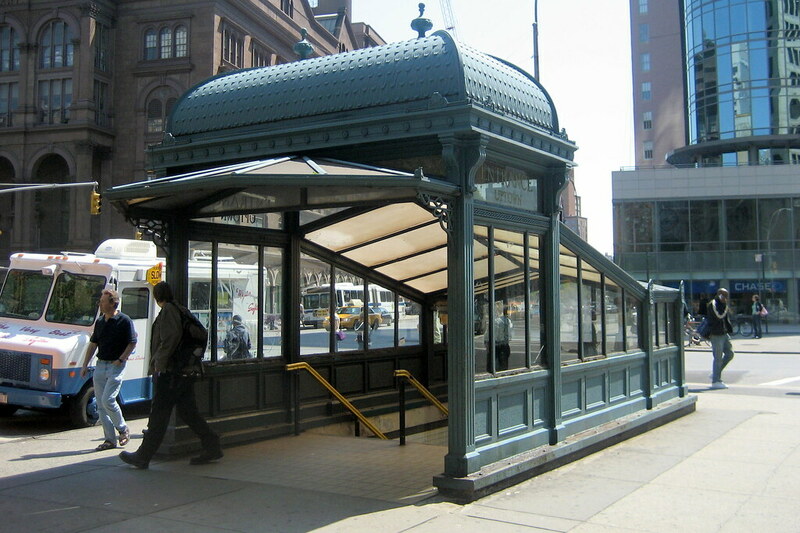 Think you could fit in in one of the coolest and most happening neighborhoods in NYC? Then come along to our SpeedRoommating events in Manhattan to find your next apartment. If you’re an East Villager, let us know some of your favorite things to do in the area!